The Saskatchewan Ministry of Education’s Early Learning Intensive Support Pilot is a program for three and four-year old children requiring intensive support to meet their potential. A medical diagnosis is not required to qualify but there are a limited number of spaces available so not all children will be accepted to receive this support, factors such as the age of the child and other available services may impact selection. And, although children who are three or four years of age can attend the program, priority will be given to four year olds with preference to children who are not enrolled in another early learning program where intensive supports are being provided. The half-day pilot program provides additional spaces and supports in a limited number of Pre-Kindergarten programs to provide opportunities for children to engage in inclusive learning with other children the same age. Support will be provided through a collaborative team approach to meet individualized needs and to promote strengths from learning and participation. The unique needs and circumstances of the child, the class and facility will be considered for each situation. Please read the Early Learning Intensive Support Pilot brochure for additional information for families. To apply for the pilot program, please click and fill out the application form below and email it to the Coordinator, Intensive Supports earlylearningis@rbe.sk.ca. For more information please email or call Regina Public Schools and ask for the Coordinator, intensive supports (306.523.3000). Additional information regarding the Children Communicating, Connecting and in Community pilot is also available through the Saskatchewan Ministry of Education. The Saskatchewan Ministry of Education’s Children Communicating, Connecting and in Community Pilot is a program to provide high quality learning experiences and interventions for preschool-aged children who are Deaf/deaf or hard of hearing. Additionally, siblings, cousins or family friends of a similar age, as well as children of Deaf/deaf or hard of hearing individuals are encouraged to apply in order to build communication and social skills and encourage ongoing learning and interaction. The program will provide early learning experiences for preschool-aged children, placing a priority on four-year-old children and including three-year-old children where possible. Please read the Children Communicating, Connecting and in the Community brochure for additional information for families. To apply for the pilot program, please click and fill out the application form below and email it to the Coordinator, Intensive Supports earlylearningis@rbe.sk.ca. For more information please email or call Regina Public Schools and ask for the Coordinator, Intensive supports (306.523.3000). Additional information regarding the Children Communicating, Connecting and in Community pilot is also available through the Saskatchewan Ministry of Education. The Saskatchewan Ministry of Education's Pre-Kindergarten Program is a developmentally-appropriate early childhood education program for three and four year old children. Space is limited and children who would benefit most from enhanced programming are prioritized for enrolment. Regina Public Schools offers half-day Prekindergarten program has a qualified teacher who provides play-based programming for 16 children for 10 months of the year. Programming focuses on holistic child development: social-emotional, physical, intellectual and spiritual development. Regina Public Schools hosts a Pre-Kindergarten program in 24 of its elementary schools. Please contact the school nearest to you for more information. Families wanting to complete and submit a Pre-Kindergarten application for their child(ren) are encouraged to do so in spring (i.e. April, May, and June), over the summer, and by the end of August. Completed application forms should be submitted at the school prekindergarten that serves their catchment area as identified using the School Locator and Map of Regina Public Schools Pre-Kindergarten School Boundaries/Attendance Area. The review of application forms submitted begins in late June and continues in late August with families informed of student selection by the end of September. When schools are closed over the summer, completed application forms can be submitted at the Regina Public Schools Division Office with applications received forwarded to schools when schools reopen in the fall. The Saskatchewan Ministry of Education Kindergarten program builds on early learning principles, paying particular attention to the environment and the roles of conversations and play in children's learning experiences. The teacher facilitates inquiry through children's play. Environments are carefully designed to inspire children to wonder, ask questions, and be curious; promote the holistic nature of children's learning; and encourage independence, responsibility, and participation. Regina Public Schools offers full-day on alternating days programs and welcomes new Kindergarten students who will be five years of age or older on December 31st of the year they register. 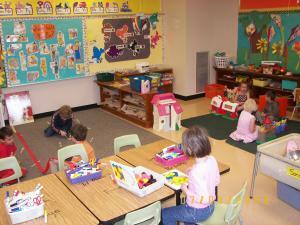 Regina Public Schools also offers French Immersion Kindergarten programs at some of our schools. Regina Public Schools hosts a Kindergarten program in all of its elementary schools. Please contact the school nearest to you for more information. Families wanting to register their child(ren) for Kindergarten are encouraged to complete and submit a registration for in late winter (i.e. March) with registration forms submitted at the school. For additional information, contact Juanita Redekopp-McKeown - Supervisor of Instruction (juanita.redekopp@rbe.sk.ca or 306-523-3136).